Just remember, it won't be the end of the world if you don't get the points you wanted. 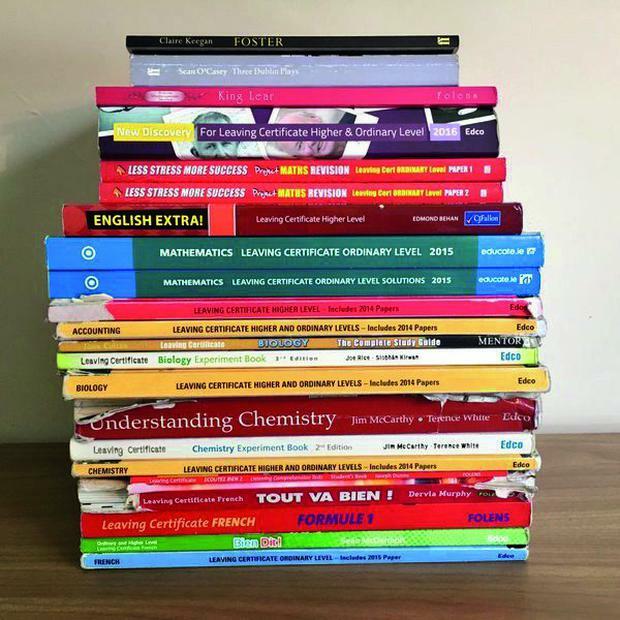 It's a bare two and a half weeks until the State exams kick off, and for many teenagers around the country the pressure is reaching fever pitch. God knows I've done more than my fair share of exams, having been nine years in college - but I can safely say that none of my third level outings in exam halls came anywhere close to the stress of the Leaving Cert. And it is no coincidence that all over Ireland there are grown adults who still have nightmares about doing 'The Leaving' - usually involving them sitting it naked, before waking up in a sweat. First top tip is: don't panic! Unfortunately, every year we do see kids who get so panicked, so beyond optimum stress levels, that they really can't function. In some cases, not sitting it at all. Or in others, walking out of exam halls or going blank in front of the page. So here's what you should remember if you're feeling overwhelmed - it really doesn't matter. And if it's the Junior Cert, it really, really doesn't matter. The Leaving is nothing more than a competition for college places. And the truth is, college courses often bear little relation to what you actually end up doing with your life. But even if you're fixated on a certain career path at 18 - there'll always be more than one route to take to get you there. So forget the 'It'll be the end of the world if I don't get 600 points' stuff. Because the fact is - it won't. Second up, bear in mind that almost everybody in the country has sat these exams and found them as stressful as you - and still survived them. So, despite the big build-up, you'll be grand - in fact, it's always a relief when they start and the apprehension phase is over and the action phase begins. However, if you're starting to freak, stick with the following simple plan. * Get enough sleep. It's amazing how much mental acuity we lose when we're tired. We absorb information better when we're rested, plus we perform better in exams. Aim for a full eight hours every night. * Break your day up into realistic blocks of study time and break time, with break time being every bit as important as study. If you aim just to study all day, you may do it, but you'll be unproductive and it will take 11 hours to absorb your Irish course, when it could've been done just as well in eight hours with three hours of breaks. * Get some daily exercise. It helps you concentrate. It alleviates stress. And it helps you sleep well. * Eat properly. Three meals a day and a couple of snacks. Food is fuel and you need it now. * Practise mindfulness or relaxation. Try breathing exercises for five minutes three times a day where you breathe in slowly through your nose for a count of seven and out slowly through your mouth for a count of 11. * Don't let your friends upset you! Many will be lying about how much or indeed how little they're doing. * Put strict boundaries on your social media. It is a sinkhole for time. Spending two hours on Snapchat and then panicking because you've wasted your French study timeblock is a really bad idea and really easily done. * Coffee, chocolate and sugary foods such as jellies are not a bad idea for exam days themselves, as the burst of caffeine and sugar coupled with adrenalin can help you fire hard on all cylinders. The main thing is to try to get some perspective. If you've studied and you stay calm you will do great. And if you haven't - well there's still loads of time to cram. There's many a person who got through exams by the skin of their teeth - or indeed didn't and still ended up exactly where they wanted to be.